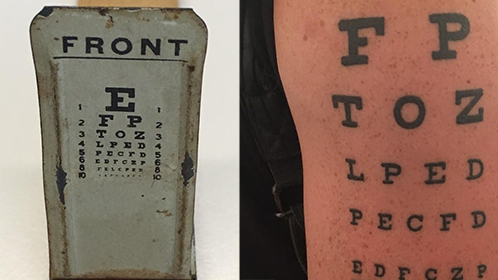 A free, public lecture on how letters got on the eye chart and what they’re doing there by Professor William Germano, author of the recently published Eye Chart (Blooomsbury). The book traces the history of the eye chart as a medical test, work of graphic design and metaphor. Registration is requested. William Germano is professor in the Faculty of Humanities and Social Sciences of The Cooper Union. He was dean of that faculty from 2006 until 2017.